Cyber Liability insurance is a type of insurance that has been designed to cover customers of technology products/services and offers protection for data breaches where customers personal details and information are leaked by a hacker or obtained illegally from a business’s database. This insurance helps individuals and businesses deal with the new age of internet hacking and fraudulency. Online attacks and data breaches have become such a threat that most professionals and businesses require cyber liability insurance to make sure that their customers and company data are kept safe. Cyber liability insurance provides cover by offering first party protection that covers a business’s assets and third-party insurance that covers the customers of the insured business. Without professional indemnity insurance, companies expose themselves to claims such as malicious falsehood, libel and slander, professional neglect, copyright infringements, breach of confidentiality and negligent statement or actions. What does a cyber liability insurance policy cover? • Damage or loss to digital assets. • Costs that result from notifying customers of a security breach. • Cover for costs resulting from E-vandalism caused by someone outside of the business or an employee. • Theft of digital assets or money through stolen equipment. First party cyber liability insurance will also cover any costs related to an individual/company being held ransom by a third party threatening to release confidential data. Cyber liability insurance also covers loss due to network downtime. Reputation damage cover provides coverage of an individual’s or businesses reputation that is caused by a breach of data that, in return, causes a loss of customers. Does cyber liability insurance protect my customers? • Any loss of a third parties’ confidential data, including any compensation costs to the third party. • Any legal costs that arise from a data system falling faulty and impacting their customers. • Third party insurance will also cover any costs resulting from security breaches, including investigation costs. Fill in our form and a member of the corporate insurance team will contact you to answer your enquiry. Our clients are paramount and when the opportunity arises we like to display some of our genuine relationship testimonials. Our passion, integrity and knowledge are key to maintaining long-standing relationships. We work hard to ensure everything in our power is completed to the highest standard accompanied by the finest level of care. Our asbestos insurance seemed a complex risk, however, our account manager at Grove & Dean Corporate, provided face-to-face meetings and the knowledge that our business is adequately protected. For years we have built a valued business relationship with Grove & Dean and believe their personal approach is above and beyond. I feel confident that both our company fleet and commercial combined insurance is in the right hands at Grove & Dean. The Corporate team are knowledgeable and display genuine integrity. Stay up-to-date with the latest industry news or follow us on LinkedIn or Twitter. Is Your Cyber Policy Void? 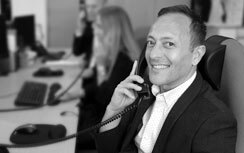 Grove & Dean Corporate Insurance is a trading name of Grove & Dean Ltd, an independent intermediary who are authorised and regulated by the Financial Conduct Authority (FCA). For your security calls may be recorded. © 2019 Grove & Dean Ltd. All rights reserved. Grove & Dean Ltd, registered in England, company number 1167043.